US market losses are accelerating into the middle of the day. The Dow fell roughly 180 points, or 0.7%. The index is now below 25,000 and is solidly down for the week — its first negative week since before Christmas. The S&P 500 and the Nasdaq both moved lower. If Friday’s selloff continues, it would be the market’s third straight day of losses. 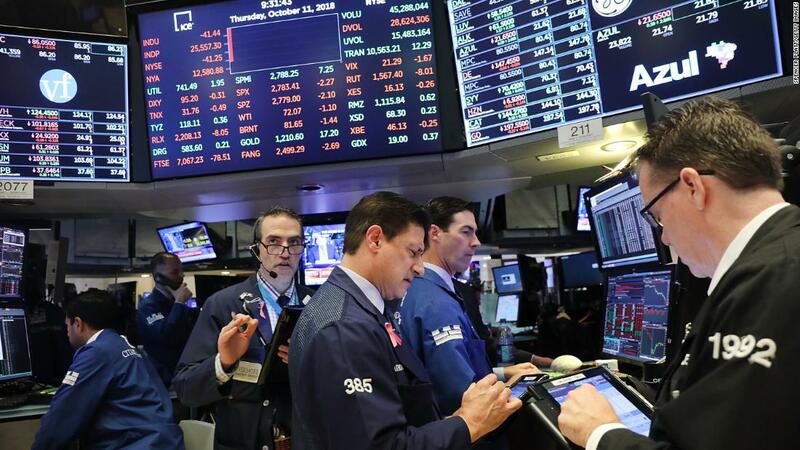 Stocks closed slightly lower Wednesday, and plunged Thursday on suggestions that the United States and China aren’t close to a trade deal. Toy company Mattel is still up about 22% after it said its Barbie and Hot Wheels franchises performed well in the last quarter. Rival Hasbro slumped 4%. The company is struggling because its fortunes are closely tied to Disney’s movie slate, and there were no “Star Wars” or Disney Princess movies during the last holiday season.